Tengu are legendary creatures in Japanese myths going back hundreds of years. Although they have a complicated history, they’re most often seen today as protectors of mountains and forests, though still certainly fearsome! 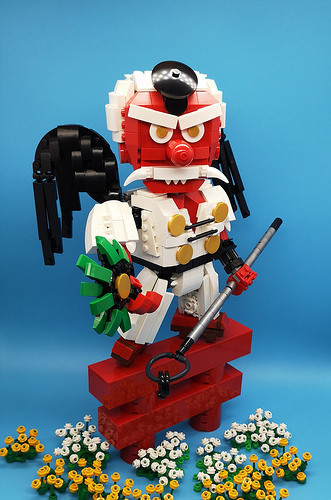 John Cheng has built a rather adorable Tengu, dressed in Yamabushi (mountain hermit) garb with black bird wings and an enormous, beak-like nose that reveal his avian origins. 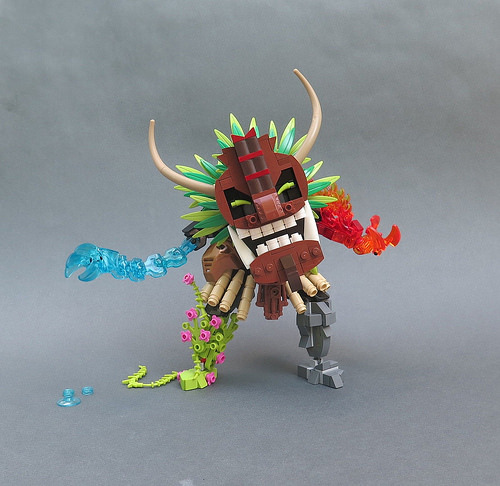 Earth, Fire, Water, Plants — all these elements combine in rockmonster2000‘s Nature Guardian figure. The tribal mask-style face is excellent — bound to intimidate any who dare trespass on this Elemental’s territory. 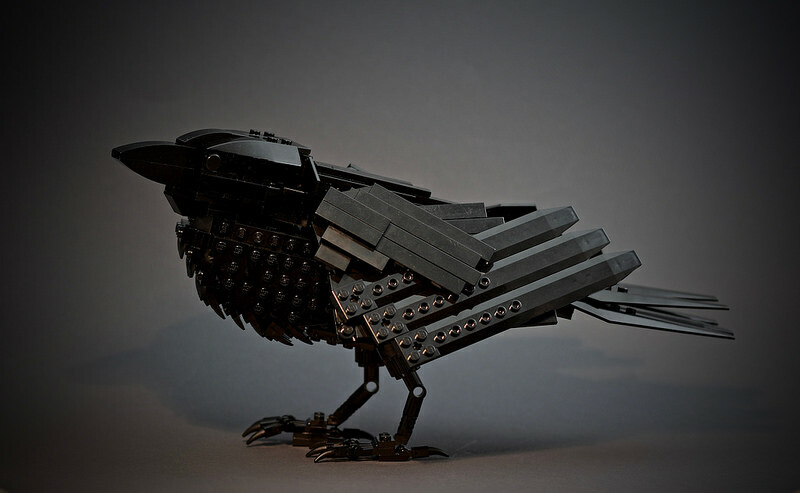 The body is a combination of Technic and regular LEGO parts, something that isn’t easy to do well. I particularly like the drips from the watery arm and that trailing frond of greenery from the foot. They add visual interest and some real character, breaking up what might otherwise have been a little predictable. 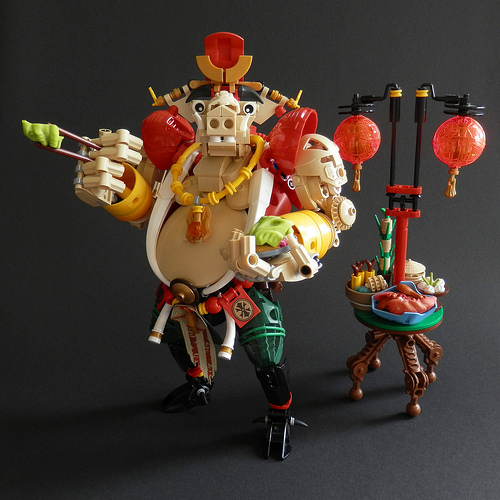 Zhu Bajie is one of the Monkey God’s fellow travellers in the classic tale Journey To The West. Western TV viewers might know him better as ‘Pigsy’ from the late-70s adaptation. 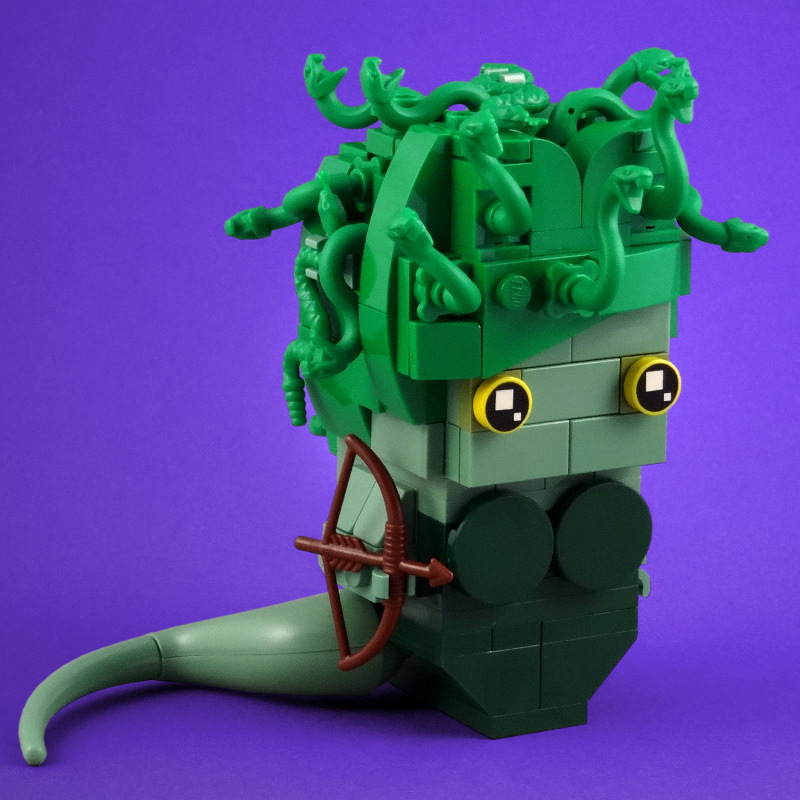 However, familiarity with the source material isn’t required to appreciate this amazing LEGO version of the porcine hero by Kingmarshy. 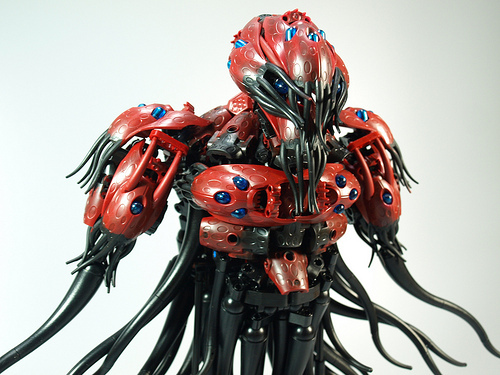 Wonderfully sculpted from a mix of Technic, Bionicle, and regular system bricks, this is a masterpiece of character building. The face is excellent, as is the headdress, but it’s the lines of the robe, with its white trim gaping around the bulging stomach, which really caught my eye. It’s also nice to see this sort of character engaged in a peaceful activity like feasting rather than set up in a more martial pose. The accompanying furniture is perfect — helping create the period feel, but not distracting attention from the main character himself. 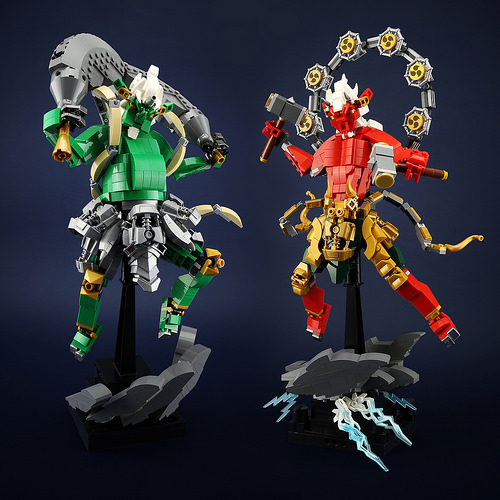 Battle for the sky between Fujin and Raijin! The Japanese Shinto-Buddhist gods of wind and storms have an eternal rivalry for control of the skies. Fūjin is the god of wind, and carries an enormous bag of air to blow, while Raijin beats drums to make thunder and lightning. 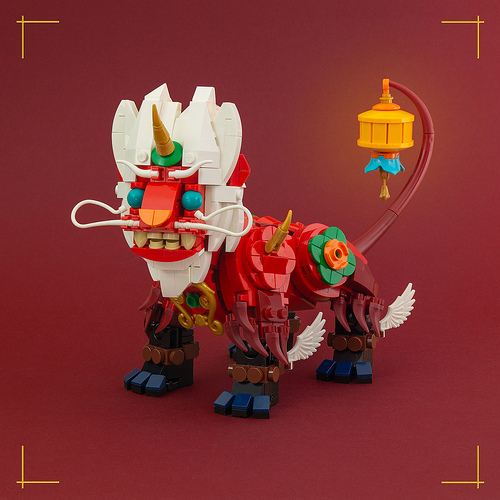 LEGO 7 has captured the look of these well-known deities perfectly in LEGO, complete with bolts of lightning emanating from the cloud that Raijin is floating on. Although Fūjin is typically depicted with red hair, the white hair that both characters share ties them together wonderfully, while both gods sport distinct armor around their waists in silver and gold. This pair of fearsome spirits would fit in perfectly guarding the Kaminarimon “Thunder Gate” at Senso-ji in Tokyo. 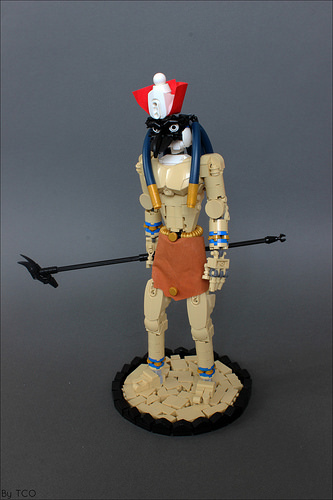 Talented character builder Leonid An taps into the primal iconography of ancient Egypt in his LEGO depiction of the gods Set and Horus. 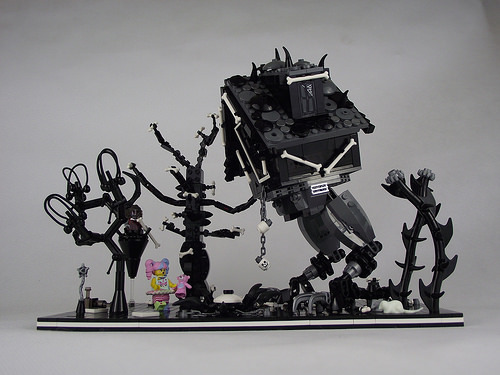 Set, the dark god of storms, disorder and violence is suitably built from black elements, utilising a row of ball joints to covey a muscular body; modified bricks added to the side of his face neatly imply the tapering of a jackal-like snout. 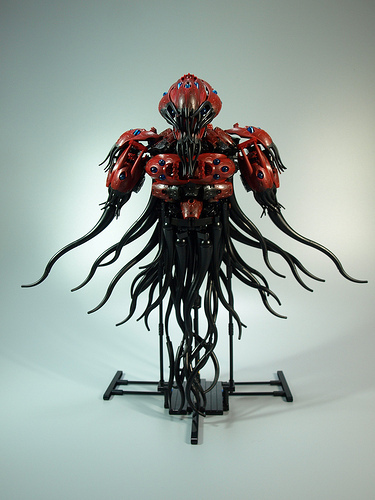 Horus, the sky god, meanwhile displays a leaner torso made from bowed bricks, and a craftily sculpted falcon head, formed from a variety of unexpected parts. 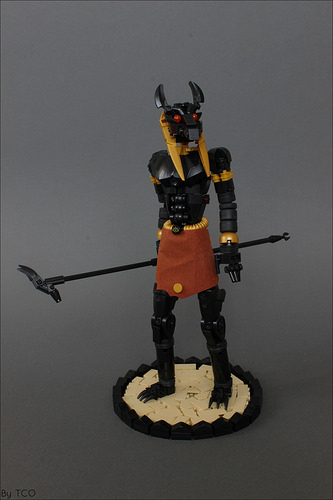 Built together, the two bring to life the epic myth told in the famous Chester Beatty Papyrus; of the contest between Set and Horus to determine the rightful king of Egypt. 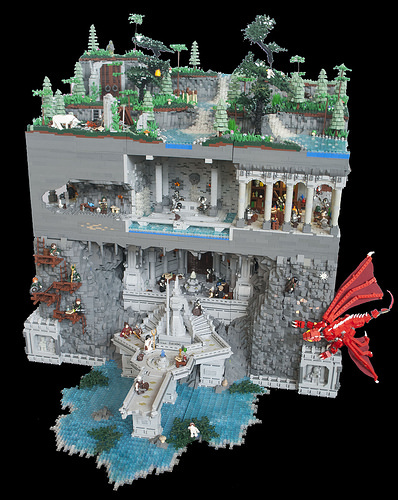 It makes a nice change to see a Norse god depicted in LEGO and for it not to be a version taken from the Marvel pantheon. 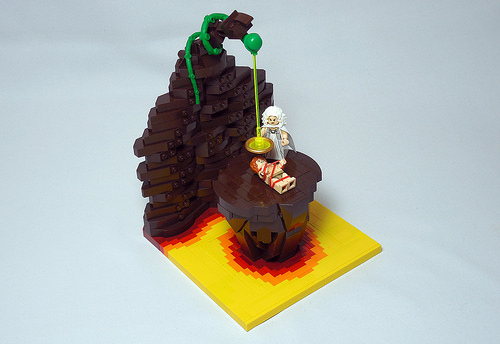 However, Loki himself might not agree, as Pacurar Andrei‘s latest vignette shows the trickster god trapped in his eternal punishment — chained in the entrails of his own sons, with his faithful wife Sigyn shielding him from dripping snake venom. The legends had it that when Sigyn was forced to take periods of rest from holding the bowl, the venom would strike Loki’s face, causing him to shake and struggle, causing earthquakes. Nice. As for the model, the rockwork on display is very smartly-done (and reddish brown makes a pleasant change from the usual grey), and the colour gradient on the lava is lovely. All-in-all it’s a sweet little scene depicting an anything-but-sweet story.